Looking for a venue for your next event? Check out Rush Creek for your next meeting, rehearsal dinner, bridal shower, or wedding reception...any type of event you can think of. We will take care of you every step of the way! Rush Creek Golf Club features an 18 hole championship golf course, family-friendly par three course, Highlander restaurant with outdoor dining and spectacular views, year-round teaching Academy, and beautiful banquet space perfect for weddings, meetings, parties and events. Located 20 miles from downtown Minneapolis, it is the finest Maple Grove golf option. Open to everyone since 1996, Rush Creek is the perfect place for golfing, dining, weddings or any other occasion you can think of. Our staff will take care of you every step of the way. Our 18-hole championship golf course has hosted many national events including 3 LPGA events and most recently, the 2004 U.S. Amateur Public Links Championship. In addition, Rush Creek has been named “Best Public Golf Course In The City” by Forbes contributor Larry Olmsted and voted “Best Public Golf Course” in 2001 and 2002 by Citysearch.com. Come out and play Rush Creek to find a true test of Maple Grove golf and to experience nature at its best. Alongside our beautiful golf course lies a stately and elegant clubhouse. Rich in its Scottish heritage, we have a public restaurant with great food from great people, meeting and banquet facilities for over 300 and a golf shop with all the latest fashions as well as equipment. 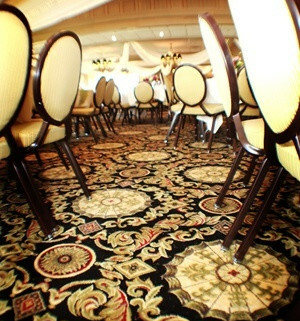 Our ballroom has one of the most beautiful views in town, as the entire room overlooks the Maple Grove golf course. So even if you are not a golfer, treat yourself to a great lunch or dinner on our beautiful terrace while enjoying one of the best views in town from our outdoor terrace! If tuning up your golf swing is what you need, Rush Creek is perfect for you to do just that. Our Golf Academy combines premier instructors with top-notch equipment and facilities. A 300-yard practice range with covered stations at both ends allows for use in inclement weather. No matter what your handicap is, you can always use a little practice with your game!